Turn emails into tasks, tame the inflow of messages, and more with these add-ons. But it email doesn’t have to be the enemy. With Gmail’s built-in features and some assistance from third-party tools, you can not only get your workflow back on track but transform your inbox into a productivity powerhouse. Here are five you should start using with your Gmail account immediately. I’m constantly getting emails from new PR contacts and other industry folks, and this usually prompts me to open a new browser tab to search them out on LinkedIn or elsewhere on the web. LinkedIn’s Rapportive makes ferreting out that information unnecessary by delivering it directly to you. 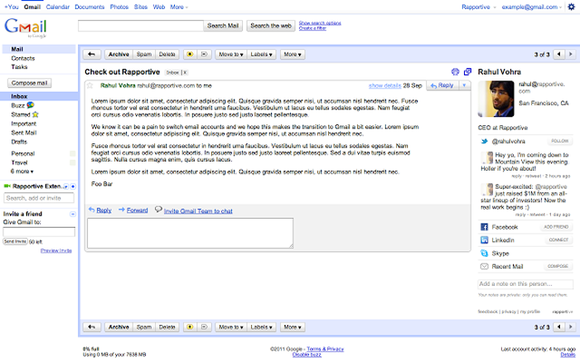 Rapportive adds the sender’s social profile to their messages. This plugin replaces Gmail’s sidebar ads—which, let’s be honest, you’re probably not all that interested in—with a comprehensive social profile of the sender. Details include their photo, current job position, and their social accounts including LinkedIn profile. Having these details in an email message not only gives you a more rounded picture of who you’re communicating with, it can also facilitate deeper conversations. Best of all it offers one-click connections on LinkedIn if the contact isn’t already in your network. 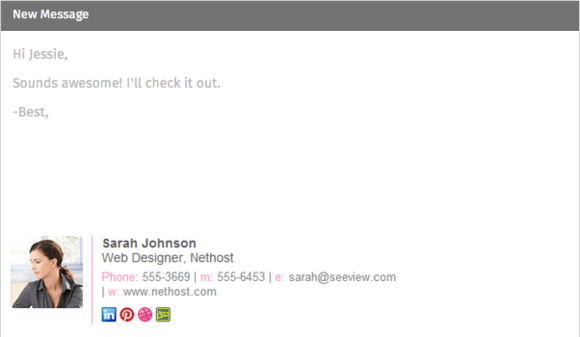 If you’re finding inbox zero elusive, this extension is just the thing to get you over the hump. It integrates the popular to-do tool with Gmail so you can turn messages into tasks, prioritize actions, and assign them deadlines and reminders. The net effect is you process your emails more quickly and get them out of your inbox. And because it syncs across devices, you have no excuse to let your email productivity lapse. The Todoist extension for Gmail turns your email into a task manager. If you compulsively sign up for daily deals, newsletters and other subscription offers only to later wonder why your inbox is teeming with “spam,” Unroll.me is a must. 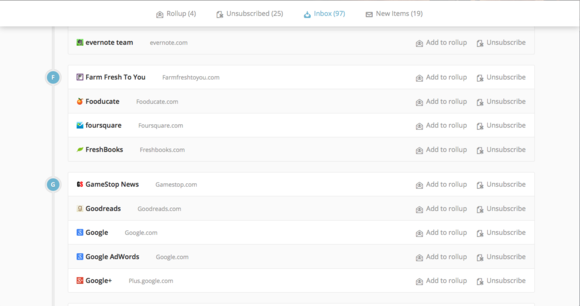 Connect your Gmail account to this free service and it will scan your email for subscriptions and compile the senders into a list. All you need to do is click the “unsubscribe” button next to each one you don’t want to receive anymore. Those you do still want can be added to a daily digest of messages sent to you at a time of your choosing. I’ve written about my positive experience with Unroll.me a few months ago, and it's still one of the most powerful tools for managing my inbox. 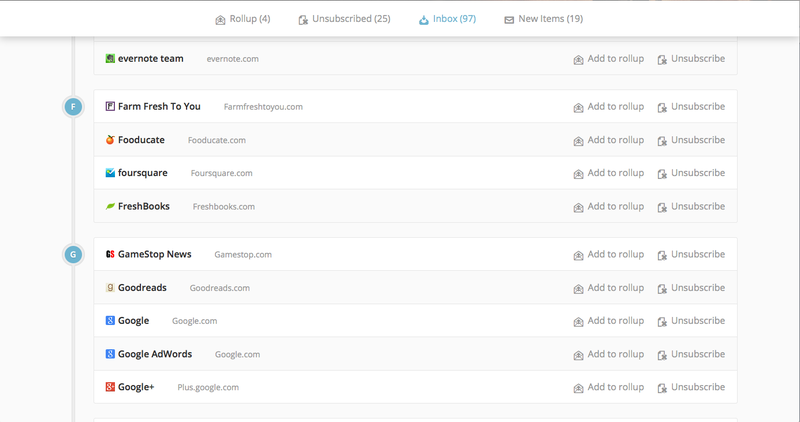 Unroll.me lets you easily get rid from email subscriptions you no longer want and easily digest the ones you do. That all-text signature that closes all your emails is so boring, it’s all but invisible to your correspondents. Wisestamp replaces your signoffs with a robust thumbnail profile that includes your photo and icons for your social accounts. In addition to your contact info, you can add widgets that will show your latest blog post, allow the recipient to schedule a meeting with you or follow you on LinkedIn, and more. Wisestamp offers a range of templates to choose from and you can even create multiple signatures and add them to different emails. Constantly checking email for new messages is a notorious productivity killer. If you’re disciplined, you can designate set times for eyeballing your inbox, but for the weak-willed there’s BatchedInbox. BatchedInbox will delay email delivery until a time you specify. This tool prevents email interruptions by withholding messages and delivering them in batches either hourly or at times you specify. It does this by diverting your email to a BatchedInbox label, and then moving it to your inbox at the designated times. That means you could sneak a peek, so some willpower is still required for it to work. If there are certain contacts whose email you want to receive immediately, you just need to create a new filter from those addresses, and you can disable BatchedInbox at any time. If you find the allure of new email hard to resist, connect your Gmail account now.